Give yourself and your children the digital literacy advantage this summer. Make the holidays have useful and positive effects with professional ICT training. 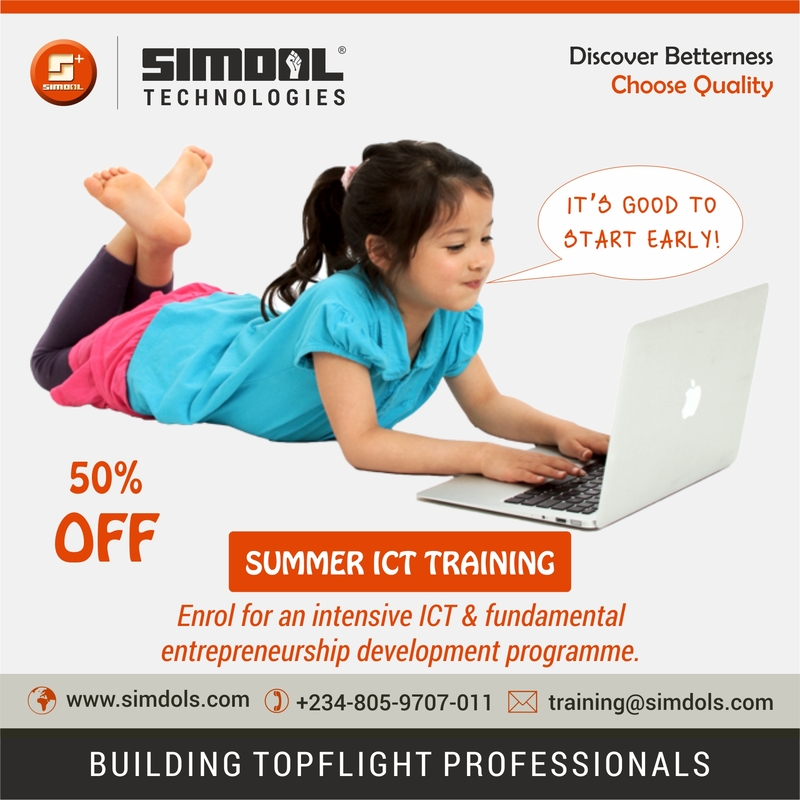 Simdol IT Education (SITE) is offering summer Computer/ICT training on various programs that will improve your operational effectiveness and efficiency, and help you to explore the world of unlimited opportunities. As we have fundamental and advanced training packages for adults, we also have summer packages for children including digital literacy and code camp. We have provisions for children in primary (3 and above) and secondary schools. Our training package for the children is aimed at helping them improve their academic performance, explore the world around them and prepare them for a better future. Check out details of the Summer/Holiday package for kids here. All towards building topflight experts. To take advantage of this offer, register at our training center today. If you have any questions about the holiday package, other training programs and services, feel free to contact us. As a global service company providing digital solutions, we are committed to offering affordable services to businesses. We believe that being different really makes a difference, so we offer solutions that improve efficiency and give your brand a perfect image that depicts our creativity, and our client’s uniqueness and potential. Continuous Learning is Your Key!